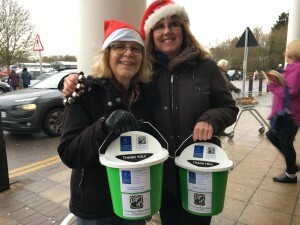 Y ou may have spotted the band playing carols outside Morrisons Supermarket in Basingstoke recently. The band was collecting donations for St Michaels Hospice and we were impressed by the generosity of the shoppers entering and leaving the store. A big thank you to all the people who donated to this worthwhile cause. 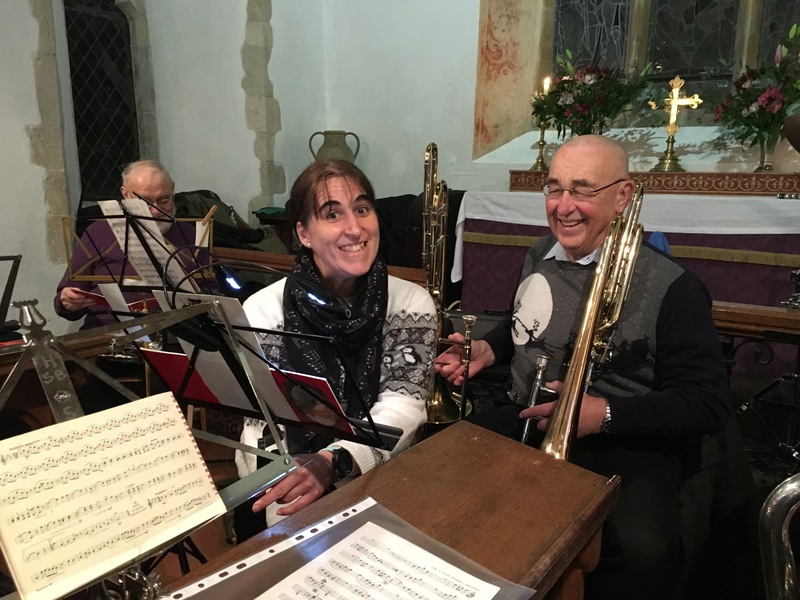 The band played their last session of the year in Hannington Village Hall on Christmas Eve before popping over the The Vyne pub to play a few more carols! 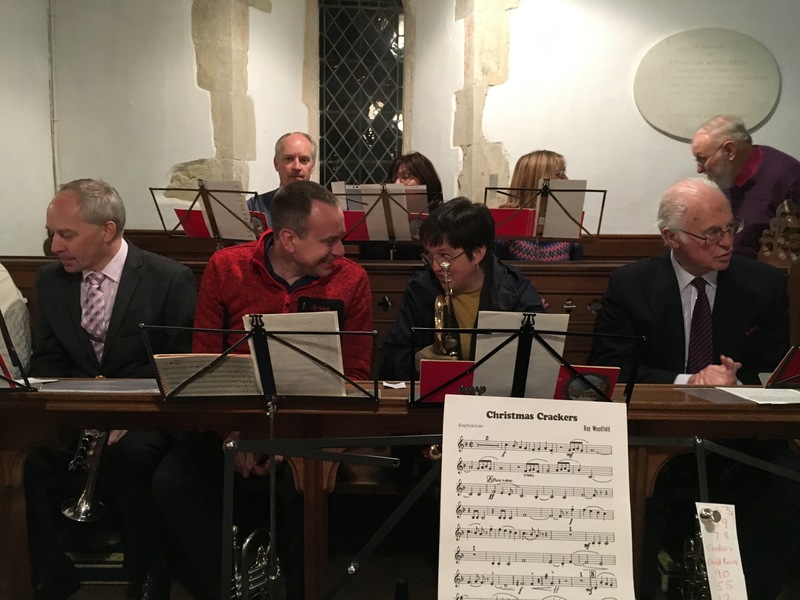 The caroling in the village hall is an annual event which gives the Hannington Villagers a chance to raise the roof singing carols before heading home to get tucked up before Father Christmas arrives. We hope everyone is enjoying a pleasant break and would like to wish you all a very Happy New Year for 2018! The band enjoyed playing for the Hannington Carol Service yesterday evening. It was a packed church all in fine voice singing along to a number of carols. The band played two feature pieces, Christmas Crackers and Mary’s Boy Child. The children then stood and paraded with their Christingles. 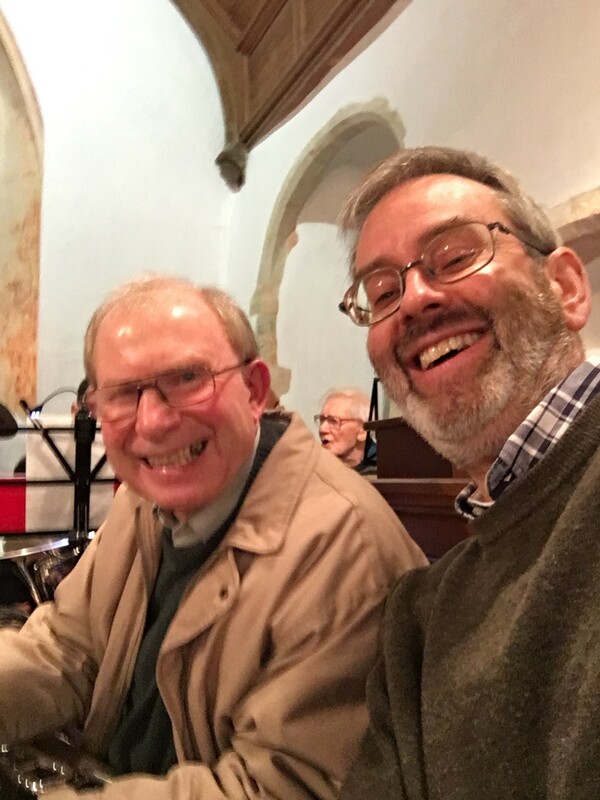 The service was nicely rounded off by a plentiful supply of Mulled Wine, Mince Pies and Shortbread! Delicious! The band were once again pleased to be able to support the kingsclere Remembrance Day event. 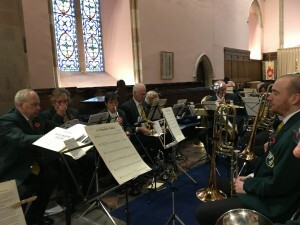 A cold but dry day helped allowing us to play a march outside whilst the parade made its way to the church before playing along to the hymns during the service.